A contraction of Automobile and Aviation, its name is synonymous with its rotating bezel, its large snailed counters and the exemplary legibility of its black and white. Created in 1962, this iconic model celebrates its 55th anniversary in the form of a neo-retro successor featuring updated functions and a proprietary movement. Modern yet faithful to its roots, the new generation Autavia channels the spirit of the golden age of motor racing. 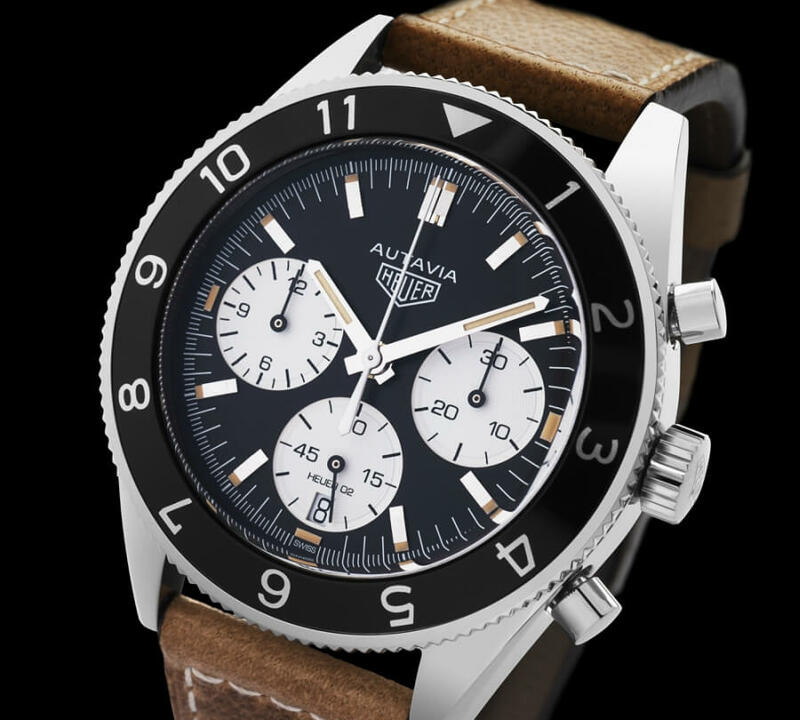 The new model is the result of an interactive campaign called the "Autavia Cup" run in 2016: from a choice of 16 vintage models, more than 50,000 web users voted for a reissue of the Autavia "Rindt" worn by the famous F1 driver Jochen Rindt. Larger 42 mm diameter, water resistant to 100 metres, date aperture at 6 o'clock and Heuer-02 proprietary self-winding chronograph movement for the new model. At the occasion of this launch, TAG Heuer is also selling the book “Autavia – Story of an Icon”, which will allow the reader to immerse himself in the history and heritage of this legendary watch. More imposing than its ancestor — 42 mm in diameter compared to 39 in the 1960s — with a 12-hour graduated bezel and a new Heuer-02 calibre proprietary chronograph movement, the latest generation Autavia carries the DNA and aesthetic codes of the original. The watch has a self-winding calibre, power reserve of 80 hours, date at 6 o'clock and water resistance to 100 metres. In black aluminium, the bidirectional notched bezel encircles a black dial with three white snailed counters in an optimal layout. A legible, balanced display with hands and applique indexes in steel coated with beige Super-LumiNova. A retro look updated with touches of modernity, grounded in the real world. 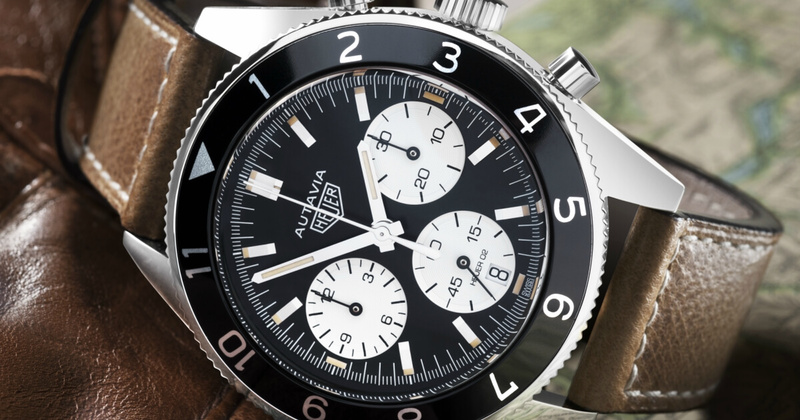 "Mushroom" push-pieces, a ridged crown, the Heuer logo and a distressed calfskin leather strap for a vintage feel. A contemporary twist is revealed in the addition of a date aperture and a sapphire case-back. Like the patina of a vintage watch, the luminescent coating has a beige tint, in harmony with the strap stitching. The studied neo-retro style encompasses the minute track subdivisions, employing the "1/3-2/3" ergonomic rule of the era created by Jack Heuer to enhance legibility and accuracy. The inscription "Heuer-02" above the date aperture references one of the major innovations of this contemporary model: its proprietary movement, the new Heuer-02 chronograph calibre, with 4 Hz frequency for a power reserve of 80 hours. 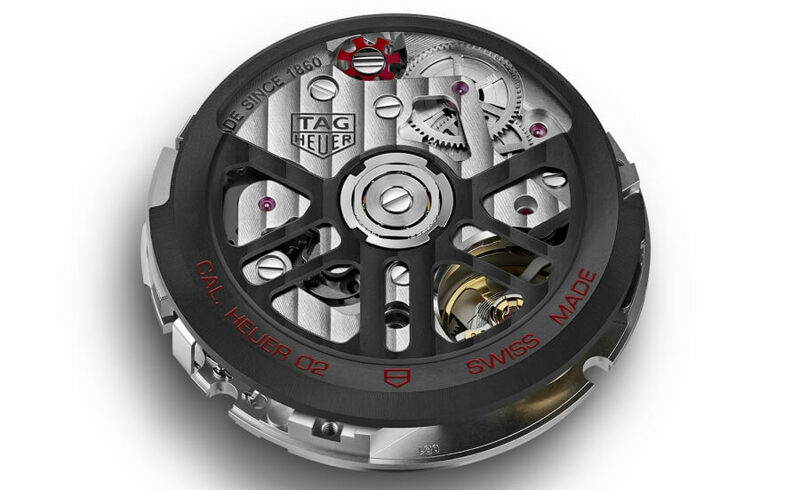 Just 6.9 mm thick, this self-winding movement comprises 233 components, a pillar wheel and a vertical clutch. Featuring traditional finishes visible through the sapphire case-back, this TAG Heuer proprietary mechanism offers maximum space for the counters on the dial side, resulting in a visual balance and perfect legibility. 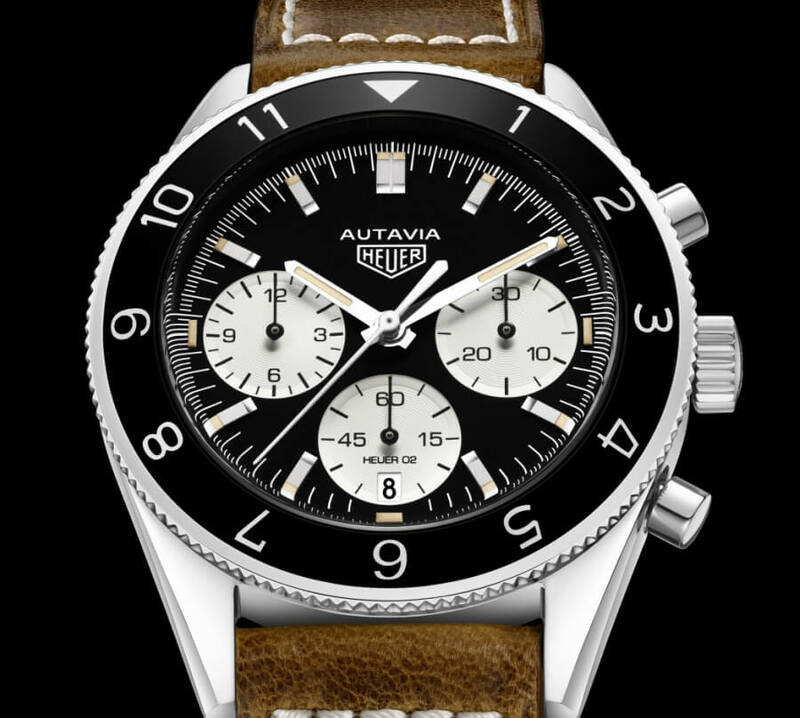 The price for the Tag Heuer Autavia will be €4,600.